31st March 2018 is nearing and you should have done Aadhaar re-verification for your mobile phone number by now. Failing to link your Aadhar card number with your mobile number may earn a service deactivation from your mobile operator. As per government rules, one should link all his mobile phone numbers with Aadhar ID by 31st March. It doesn't matter how many SIMs do you own, linking them with Aadhar card is so simple. Just make a visit to the authorized customer relationship center of your mobile network operator and do the re-verification. The process is pretty safe and has an OTP based security which prevents Aadhaar details misuse. Many people who possess Aadhaar card are worried about its potential misuse. They think that someone can use their Aadhaar ID to buy a new SIM in their name. But as per UIDAI website statements, it is impossible to do so. Because you can buy a SIM only when you can authenticate yourself through your biometric details (fingerprint). And nobody can have the same fingerprints. However, if you are still worried that someone else has activated a SIM on your Aadhar card number then it is quite easy to find. 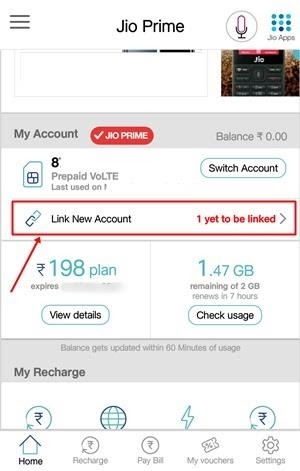 The current tutorial is limited to AirTel, Jio, Vodafone, and Idea users. Any other users please directly contact your network service provider. AirTel made it simple to check how many AirTel mobile numbers are linked to your Aadhaar card. To check simply send a message ADCHK <space> <your UID> to 121. You will get an automated reply within a minute. 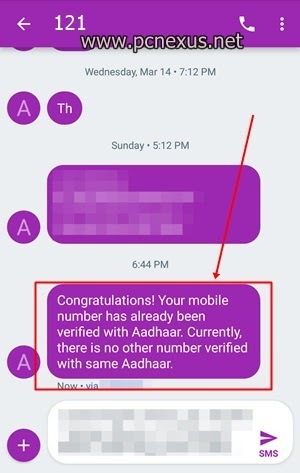 However, if your AirTel number is already verified with Aadhaar then you can just send ADCHK to 121 without adding your UID. 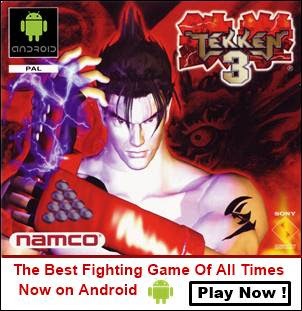 The message will be like this below. As you can see the image above shows that currently only one number is linked to the user's Aadhaar card and no other AirTel numbers are linked. So, if you are an AirTel user then you can check your linking status and number of SIMs linked to your Aadhaar by just sending only one SMS. You can use this service time to time to check for any unauthorized linking which is almost impossible as per UIDAI claims. Vodafone and Idea don't have an SMS based service to check for Aadhaar linking status. So you can visit their customer relationship center and directly ask for the right information that you are looking for. The store executives will provide you the information related to the number of SIMs linked to your Aadhaar card. 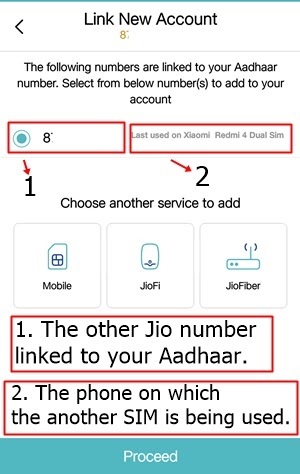 If you are a Jio user and want to know how many Jio SIMs are activated on your Aadhaar ID then there are two ways to check it. And these are stated below. Click 'Mobility & JioFi' and enter your Jio number and click 'Submit'. On clicking the 'Submit' button you will be shown other Jio numbers that are currently linked to your Aadhaar card. If you find an unknown number then contact Jio care and ask for deactivation of these SIMs. Simply install My Jio app and open it. Under your mobile number tap 'Link New Account'. This option will show you all the Jio numbers that are currently linked to your Aadhaar card. If you see any number that you don't own then contact Jio care or visit Jio store and ask for deactivation of these unknown numbers. So, these are the ways to check how many mobile numbers are linked to a single Aadhaar card. If you liked the article then please share it. And don't forget to comment if you find any unauthorized mobile number linked to your Aadhaar ID. RCom isn't in service now. But you can visit their customer center. Simply, go to Jio Center and ask them if your Aadhar ID is in use. Just tell them your Aadhaar number but don't give any fingerprint scan.